Today marks my grandmother’s 71st birthday and I still miss her every now and then. She passed when I was twelve. Sometimes I’d wonder how life would have been like if she had lived longer—would we be sharing the same room until now? Would she still watch over me at night when I have a burning fever? Would she still have listened to stories of the boys I’ve loved and broke my heart? Every year, I remember her on her birthday with longing. If only to hug her one more time. If only to seek counsel. If only to tell her how much I love her and how her loss still cripples me with a pain I’ve always been trying to ease all these years. Today marks my grandmother’s 71st birthday and it’s been almost eleven years since she passed. She’s not gone. Not completely. For she and her memories remain to walk with my heart. 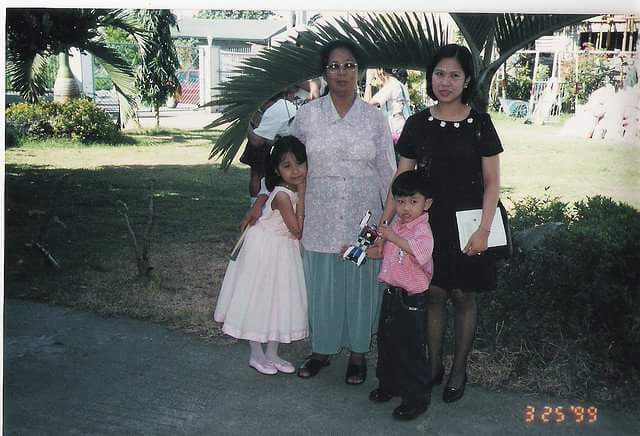 I miss you, Nanay. Happy birthday. I agree with Chynna. This is very sweet. You’re right. As long as you remember someone, they’re not completely gone. ^^ And while one more hug, might have done something for you, I’m sure your grandmother was already well aware of how much you loved her. The way you describe her makes her sounds wonderful, so I’m sure she would have listened. I’m sorry about your grandmother. 🙁 No one ever gets over lost relatives. I lost mine when I was 11.